• Why should I advertise on TravelingReporter.com? The Traveling Reporter is quickly developing into a global travel lifestyle, travel guide and travel story portal, with most of its readers from high-income markets like the United States, Great Britain and elsewhere in Europe. • How do I advertise on TravelingReporter.com? Contact TravelingReporter.com regarding specific advertising deals. Possible ad deals include ordinary banner ads (sizes: 160×600, 728×90, 468×60, or 300×250), or an ad in the form of a post, which will be marked ‘Advertisement’ and filed under the ‘Ad’ category (view an example here), or a combination of the two. Send requests or questions regarding advertising to this address. • Doesn’t the Reporter run ads from ad networks? Yes we do. The Reporter cooperates with numerous ad networks, such as Adsense, Burst Media, Tradedoubler, Pulsepoint, Bidvertiser and Valuecklick Media. Our price for a story ad with one year’s exposure is US$200. Our price for an ordinary banner ad (728×90) with six month’s exposure is US$150. Our price for other ad sizes with six month’s exposure is US$100. 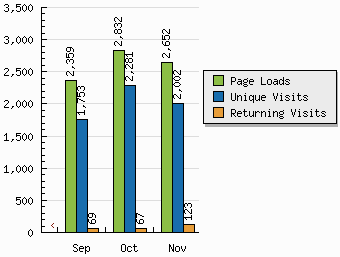 • Page analysis by Websiteoutlook.com. • Page analysis by Webworth.info.